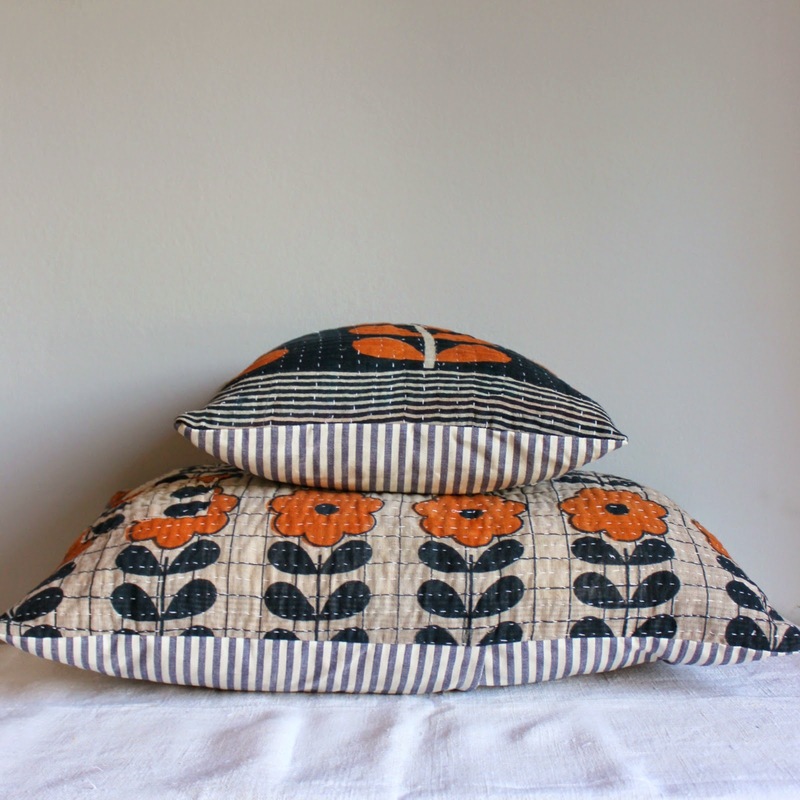 As usual my sister and mum hae given something else to love Kantha quilts!!! Like I really needed to add something else to my repertoire of loves!!!!!!!! I bought some scraps in Australia and a while back finally took the plunge and made some pretty pouches posted previously. 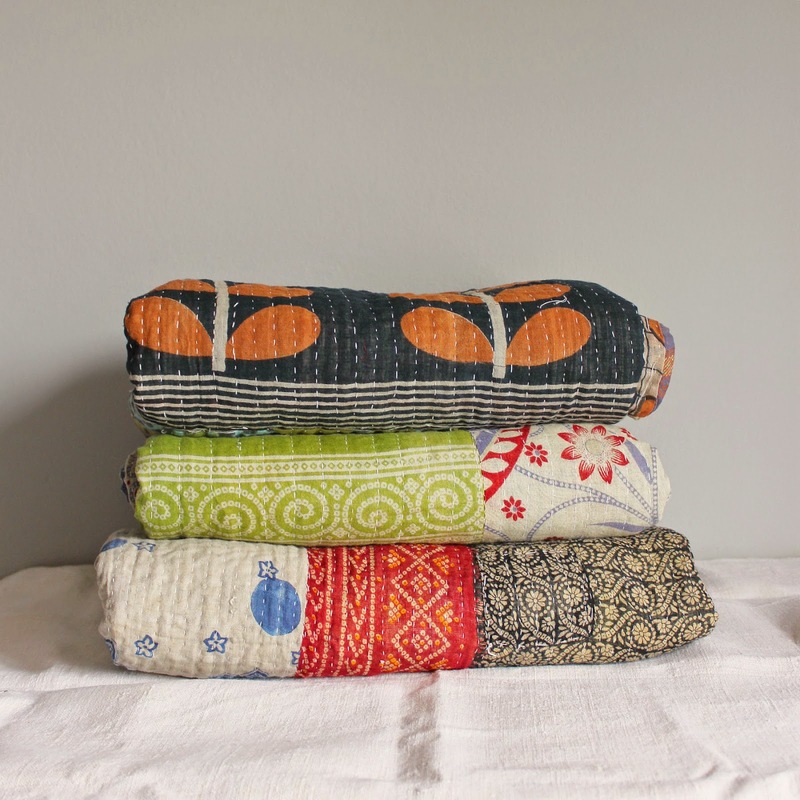 Recently I bought 3 vintage Kantha quilts,which arrived in super speedy fashion 4 days from India, I washed and dried them immediately and proceeded to look at them wondering what to do! I really love parts of them but not all which makes it easier for me to repurpose them! If they were all perfectly beautiful I'd have to keep them for myself!!! Slowly ideas are coming to me, very slowly! 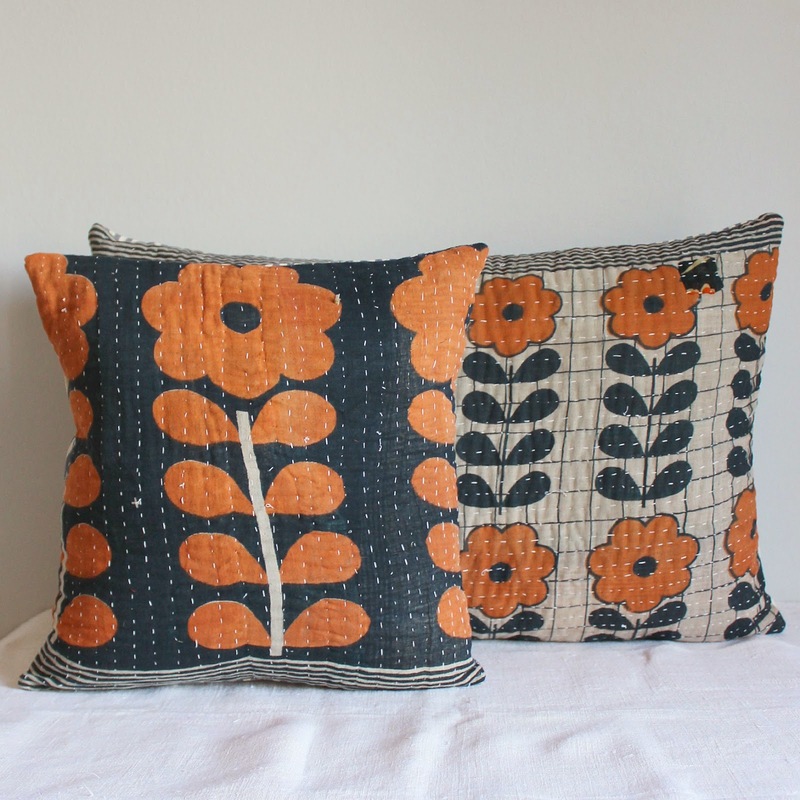 First I made a couple of pillow slips I love the way they have mending patches here and there! 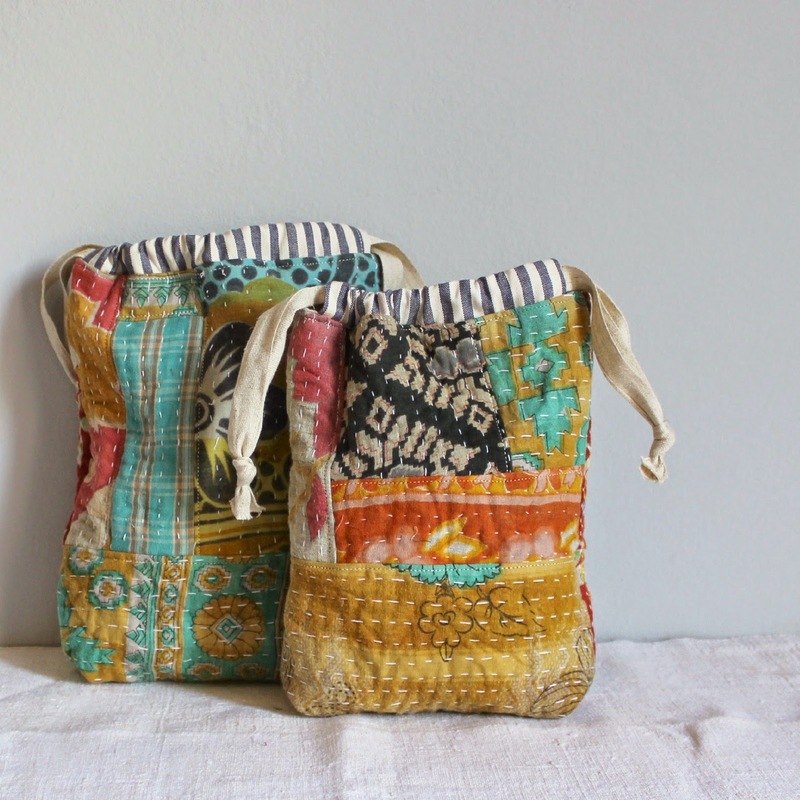 Then with some of my remaining scraps and a little of the new I made these gorgeous drawstring bags. They all feel so special because they are completely handmade and we know the time that was taken to embroider them!